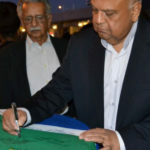 On July 18, South Africans, including anti-apartheid veterans, Ahmed Kathrada and Laloo ‘Isu’ Chiba marked Mandela Day. The two also recently spoke about their fondest memories with Madiba and his enthusiasm on youth development as well his values of selfless service and forgiveness. These are the words used by struggle veteran, Laloo ‘Isu’ Chiba (86) when reminiscing over the legacy of South Africa’s first democratic president and fellow comrade, Nelson Mandela. 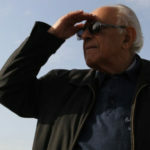 Chiba and fellow anti-apartheid veteran, Ahmed Kathrada, spoke recently about their fondest memories with Madiba and his enthusiasm on youth development as well his values of selfless service and forgiveness. Kathrada says he first met Mandela, who was a university student at the time, through Ismail Meer, ‘at a time when you hardly saw university students who were not white’. According to Kathrada, in prison Mandela proved to lead by example and had participated in all major hunger strikes. Kathrada said that he would always remember Madiba for his principles, humility and a lifetime of commitment to the service of the country. On Mandela Day, Ahmed Kathrada as well as members of the Ahmed Kathrada Foundation visited Little Rose Centre in Kliptown, where they handed over clothing, books and non-perishable food items to pupils. Later, the Foundation, joined by Board members Laloo Chiba and Zarina Motala, also went to the SOS Children’s Village in Ennerdale, before visiting Amakhaya Home in Lenasia to donate clothes, non-perishable food items, hats and scarves. The distributions where done in association with Gift of the Givers Foundation and Trade Route Mall. This comes after a collection drive, by the Kathrada Foundation where some 300 young volunteers embarked on a collection drive of blankets, clothes, books and non-perishable food items. In its 3rd year, Operation Winter Warm mobilises young people in doing outreach work for various communities in need. In a run-up to Mandela Day, the Foundation also visited the community of Plastic Views informal settlement in Pretoria to distribute blankets, clothes and food. “When we heard of the devastation at Plastic Views where more than 300 homes burned down during a shack fire. We thought it essential distribute some of the Winter Warm proceeds to the Pretoria east community and dropped off the items together with the Gift of the Givers at the neighboring Moreleta Park NG Kerk. As the youth wing of the Kathrada Foundation, we are inspired by the values of Nelson Mandela, Ahmed Kathrada and other struggle stalwarts,” said Youth Programmes Coordinator Busisiwe Nkosi. Likho Msengana, a youth volunteer from the Ahmed Kathrada Foundation Youth Leadership Programme added that the visit to the community of Plastic Views informal settlement allowed him to witness firsthand the living conditions of the residents who are beneficiaries of the collections. “It was an eye-opening experience for me, which also allowed me to be part of the handover process where I got to see exactly where our collections go to,” said Msengana. Ahead of Mandela Day, the Foundation and Gift of the Givers also donated 75 new blankets to Global Relief Welfare Services in Lenasia. Members of the Ahmed Kathrada Foundation after sorting and packaging the items for distribution.